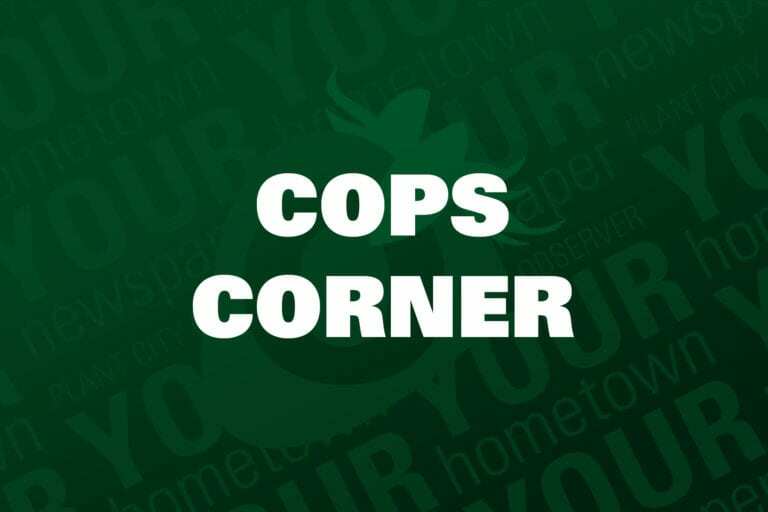 This week on Cops Corner Plant City Police investigated stolen registrations, an officer impersonator, Chevy pranks and more. Information report: This complainant told officers between 2 and 3:30 a.m. a man drove a white SUV onto their property and appeared to attempt to open tool boxes and doors to several vehicles. All of the failed attempts were caught on video surveillance, but the video didn’t show any successful entries or damage to any of the vehicles. Vehicle burglary: This victim reported an unknown suspect entered her unlocked Nissan during the night of March 39 and removed $5 in cash as well as the registration to the Nissan. The victim said she just wanted to document the incident and she signed a waiver of prosecution. Armed vehicle burglary: PCPD dispatched a call of disturbance at the above residence. One man was arrested and charged with armed vehicle burglary with a knife, theft, resisting an officer and assault tampering with a witness/victim. Criminal mischief: This victim’s 2018 Chevy truck was scratched over the exterior and some sort of liquid was poured over the hood and fender. Impersonating an officer: PCPD headed to the area listed above after hearing a white male was flashing a gold badge and pretending to be a police officer. He was found and arrested and they discovered he was also in possession of marijuana and marijuana resin. He was transported to Orient Road Jail without incident. Business burglary: A group decided it would be a good idea to attempt to rob the local Sprint store. PCPD arrived in the middle of the attempt and foiled the scheme. Vehicle burglary: This victim told officers someone burglarized her vehicle the night before and took $3 worth of loose change. She signed a waiver, but wanted to notify law enforcement of the incident. Fraud: This complainant reported that during the month of December 2018 her company accepted what they now know was a fraudulent credit card to make a wedding cake. The cake was valued at approximately $650. Theft waiver signed: This victim met an unknown man on an online dating site. They met up, consumed some drugs together and then she exited his vehicle to use the restroom. When she returned, he had left with her purse still in his vehicle. She signed a waiver not wanting to pursue the matter any further.